Suzuki has been the leader in mini 4WDs since the 70s, so when they announced a new model of the Jimny, the world listened. Sporting a slightly larger engine, an up-to-date infotainment system and new safety components, the pint-sized fourby is a serious contender world-wide. Suzuki knows how important the right gear is to the public so before the launch date on 26th January, they visited ARB to start developing prototypes for their Project JBOX promo vehicle. 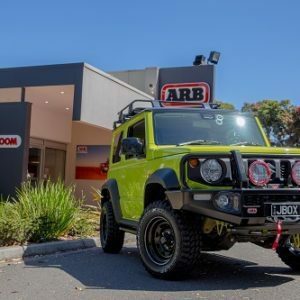 A team of ARB Engineers got straight into designing and developing a range of new and updated accessories including a bull bar, rock sliders, roof rack and suspension whilst confirming fitment from the previous models on other items such as Air Lockers. Project JBOX will hit the streets with the smallest ARB Summit Bull Bar ever developed. 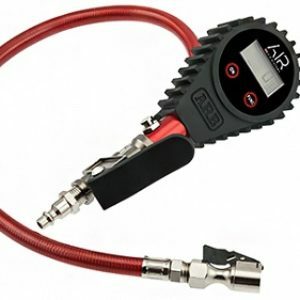 To ensure continuity in aesthetics with the sizing of the vehicle, the hoops were reduced from the big tube design to a narrower profile for better integration. 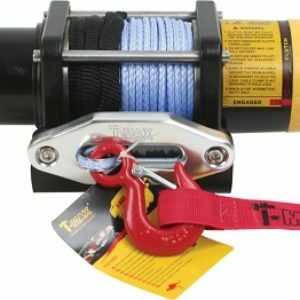 No 4×4 is complete without a winch and thus the JBOX has been fitted with a Warn Magnum 8,000lb winch. 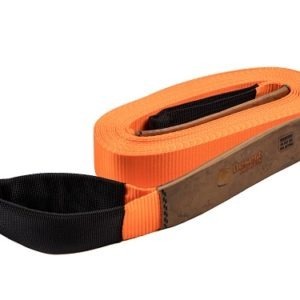 When it comes to side sill protection, ARB developed a new set of rock sliders. Tucking neatly in under the sills, the new sliders will see improved protection when tackling the tracks in this short-wheel base explorer. 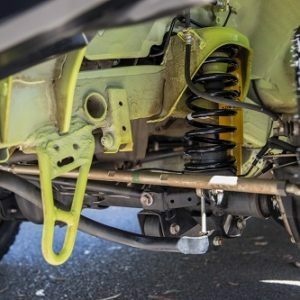 Prototype suspension has offered lift suitable for a set of new muddies and improved off road ability while the retro fit roof rack provides that much needed extra space when heading out on the next camping trip. 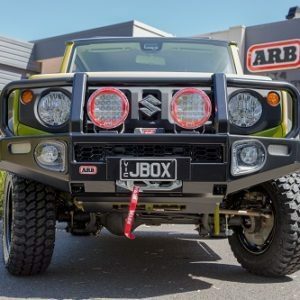 While all JBOX accessories showcased are prototypes, ARB is keen to continue with the testing and development of the Suzuki Jimny product range to have a comprehensive line-up for customers in the near future.